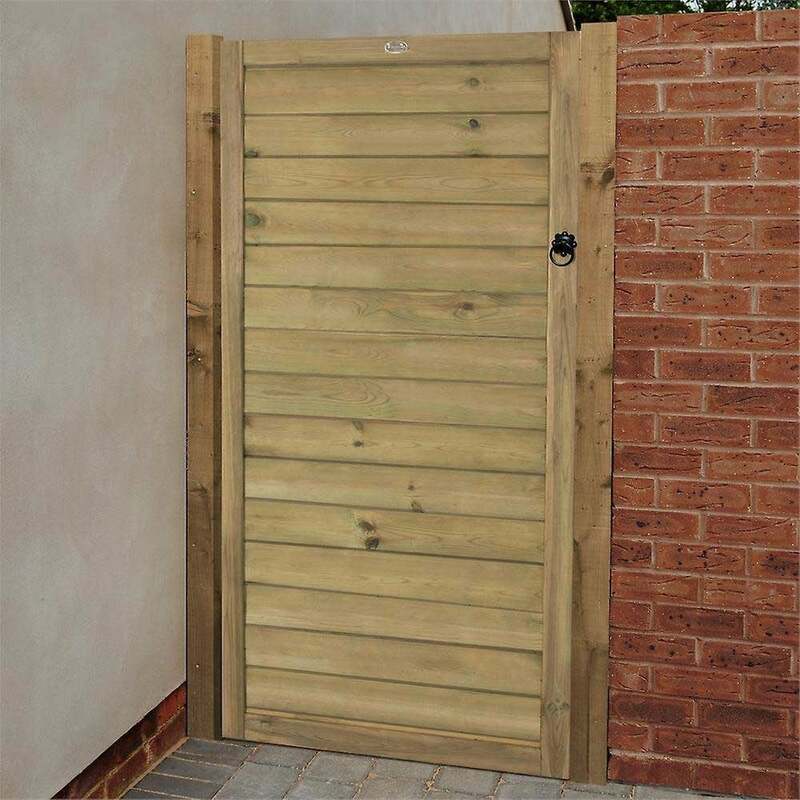 Forest Garden Horizontal Tongue and Groove Gate 6ft (1.83m) High: the superior forest Garden Horizontal Tongue and Groove Gate is a truly sophisticated and contemporary choice for your garden. Not only the design looks chic, but the horizontal lines can promote the existing horizontality of your fence if you already have the Forest Horizontal Tongue and groove Panel. Should your existing fence have vertical boards, this gate’s horizontality can break the vertical monotony. This gate can also be used as a standalone in a brick enclosure, as its sleek design combines well with other materials. The tongue and groove construction will ensure absolute privacy and security as no gap can exist between the boards. The sense of privacy is also aided by the generous height of the gate. The Pressure Treated timber makes Horizontal Tongue and Groove Gate a robust and durable choice, besides a stylish one.